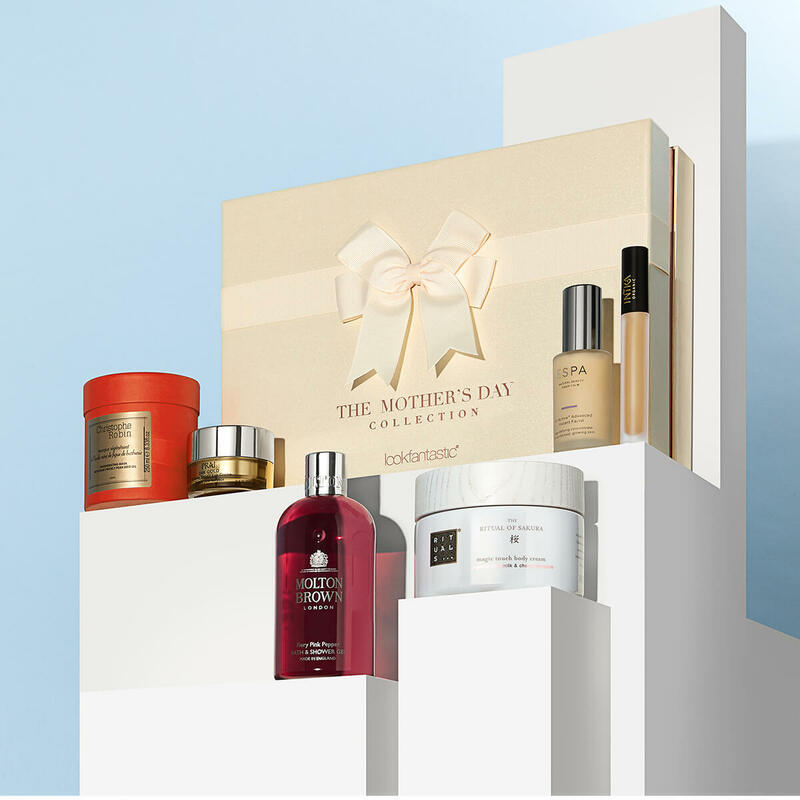 Possibly the best selling Mother’s Day beauty collection ever, and it is not hard to see why. This curated collection of six cult products is worth over £208, and features iconic beauty brands such as Molton Brown and Espa, alongside one of our fave hair treatments of all time – Christophe Robin Regenerating Mask with Rare Prickly Pear Seed Oil. Snap this set up while you can as it won’t be around for long! Get your hands on this lookfantastic Limited Edition Mother’s Day Collection for only £55, or receive an amazing £5 discount* if you are a lookfantastic Beauty Box subscriber. Not a subscriber? Subscribe to the lookfantastic Beauty Box today, add the collection to your basket and save £5 when you enter MOTHERSBB at the checkout. Our lookfantastic Beauty Box team are so excited to present this #LFMOTHERSDAY Collection as the ultimate Mother’s Day gift. With a limited number of boxes available, purchase yours today to make sure you don’t miss out. *Your exclusive subscriber discount of £5 will be sent to your email address.